BBC News is reporting that, according to the Global Carbon Project, CO2 emissions are projected to rise in 2017 for the first time in four years. The main cause is attributed to increased coal use in China as their economy expands. 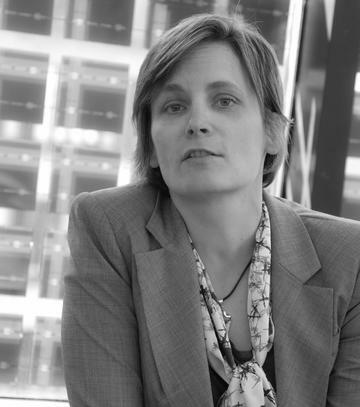 Professor Corinne Le Quéré from the University of East Anglia is the lead author of the report. 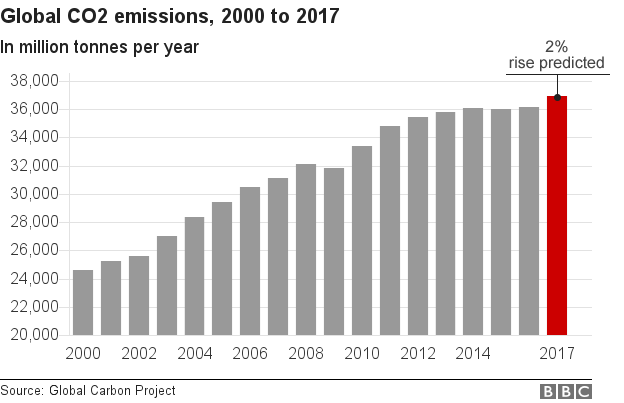 The Global Carbon Project, which has been analysing CO2 emissions since 2006, confirms that carbon output has grown by about 3% per year in that period, but growth essentially declined or remained flat between 2014 and 2016. There was hope that we had finally reached the peak. The most important element in causing this rise has been China, which is responsible for around 28% of the global total. Europe and India also saw lower than expected declines. Indeed, climate change scientists warn that we need to reach a global CO2 peak before 2020 to avoid catastrophic global warming in this century.